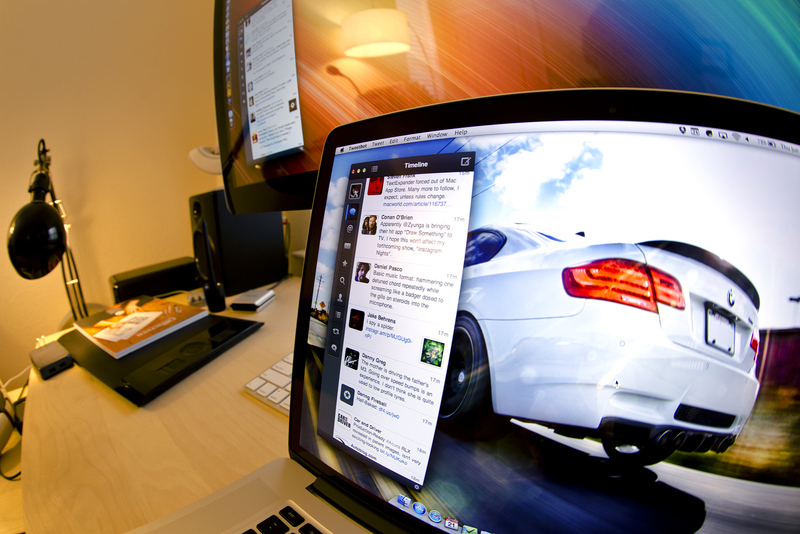 Tweetbot studio Tapbots is working on Tweetbot for Mac, and has been for some time. I’ve had an early peek at it and it’s as good as you might hope. Today’s first look of the client has been provided by a Tweet from its designer Mark Jardine on Twitter, nicely timed to coincide with the second re-birth of Twitter from its downtime today. The development of Twitter for Mac ground to a halt after the departure of Atebits’ Loren Brichter from Twitter, leaving all of us using an ‘official’ client that hasn’t seen an update in months. As it died on the vine, Tapbots’ Tweetbot has become the de-facto client for power users on the iPhone and iPad. The image displayed here shows off a client that appears to bear the hallmarks of the Tweetbot look, with a column of controls on the left and the stream displayed on the right with inline image previews. There is no timeline for release yet, or any pricing. This has become one of the most hotly anticipated Mac apps in recent memory, so hopefully we’ll see it sooner, rather than later.